It's no secret that LEGO and DUPLO are more popular with young children than ever. Little Man spends ages building towers with DUPLO and Miss M creates some amazing, creative constructions out of her LEGO. It's always a popular choice of activity in my classroom and is so open ended with infinite possibilities! So naturally, if you can find a way to tap into this interest to incorporate some more Literacy and Numeracy with your own children or children in your care - why wouldn't you take that opportunity? 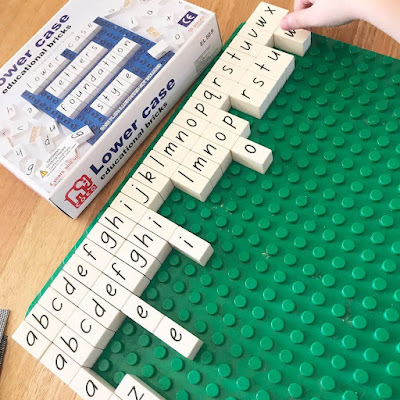 Recently I connected with the small business Lime Tree Kids, and they were kind enough to send us some Coko lower case letter bricks to feature on the blog. 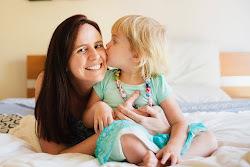 Both of my kids loved playing with them and it didn't take me long to come up with a list of 5 different ways to play with them! The great thing with these bricks is that they still connect to regular DUPLO bricks as well as the base, so you can easily add them to your existing collection. ...followed by his rendition of the alphabet song, pointing at any random letter he wanted to. But this is great! This is where it all starts people!! 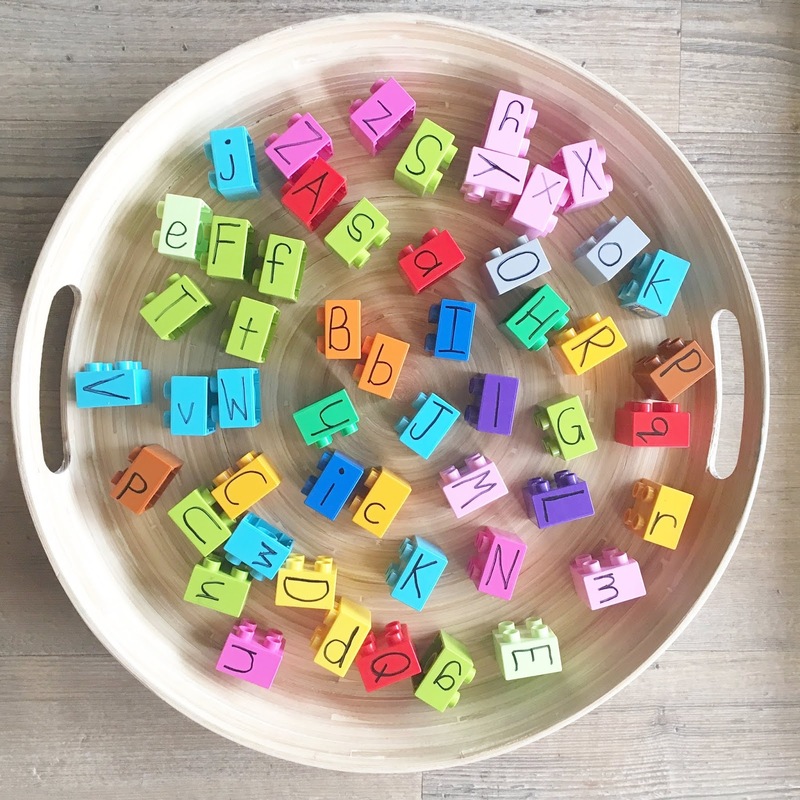 Miss M wanted to put them in alphabetical order, however we soon realised that our DUPLO base was not wide enough for every single letter. We also noticed there were multiples of some letters (the set comes with 50 bricks all together). This is so important as it allows for more combinations of letters and words to be made - as a straight 26 letter set can be quite limiting. 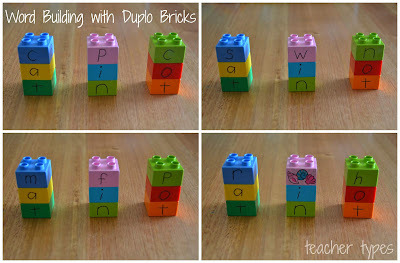 I then found a few of our interesting DUPLO pieces and together she and I made the words for them! I thought for homework one night we would make some of her list words. 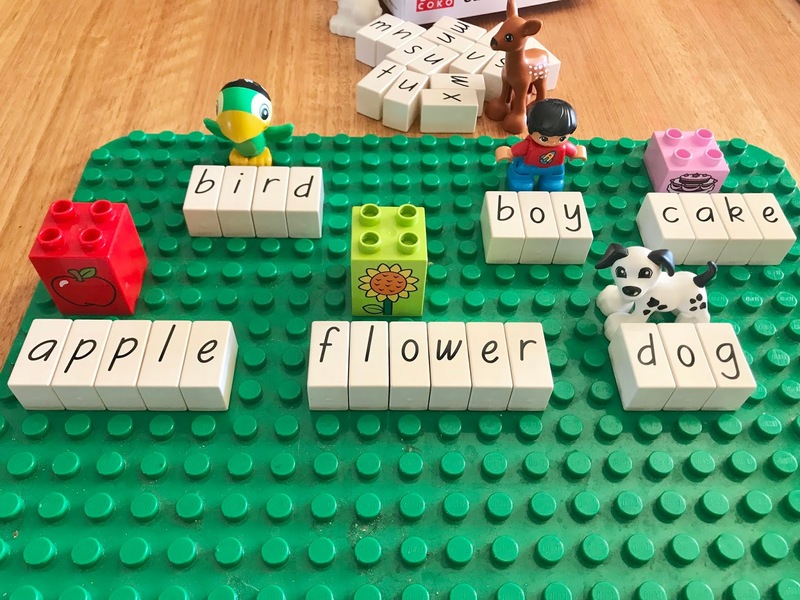 By using some regular DUPLO bricks of different sizes, she was prompted to figure out how many letters were in each word. As you can see she's currently working on the ai, oa, ie letter blends as well as the -y sound. Also available in this range are digraphs, word families, vowel sounds and letter blends. I want them all for my classroom! It's the perfect Literacy rotation activity. Just head to the Lime Tree Kids website and search "coko". 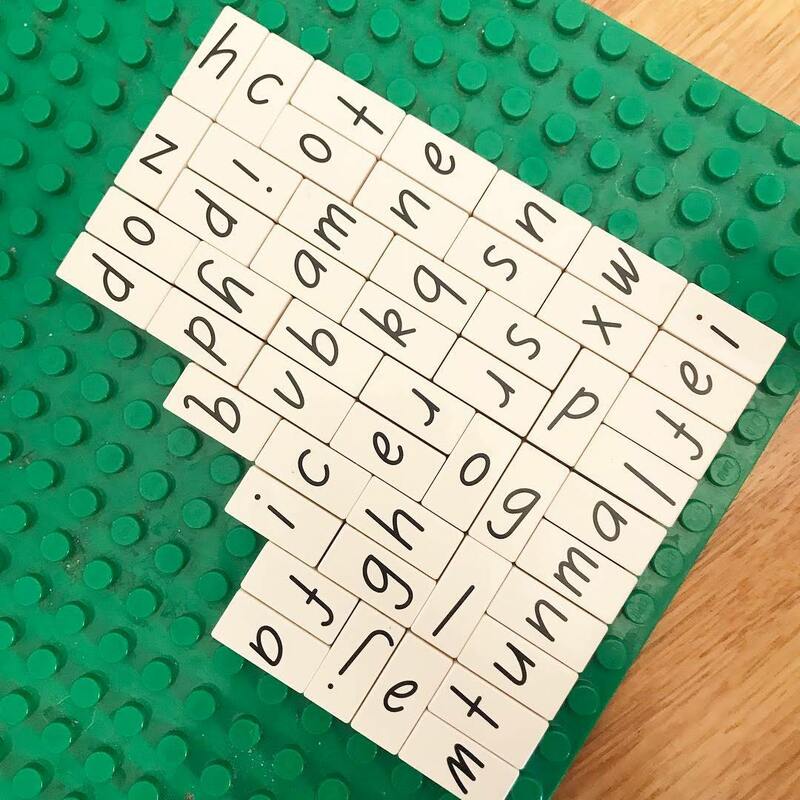 Want more ideas to incorporate Litearcy into your LEGO play? 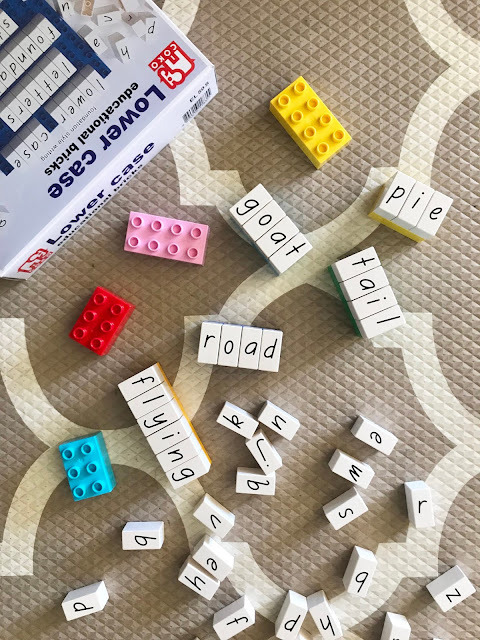 Try word building (literally) or match the capital letter to the lower case.